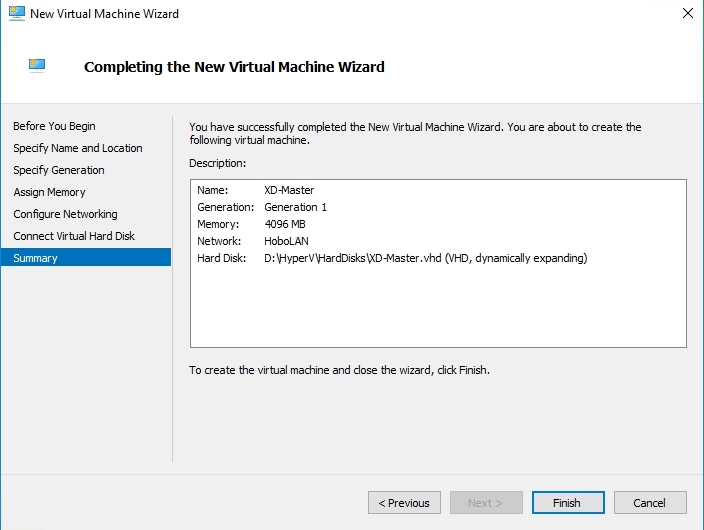 In this blog, I will show you how to install and configure the Citrix XenDesktop 7.12 controller and how to create a Windows Server 2016 master image that can be hosted in Microsoft Azure. 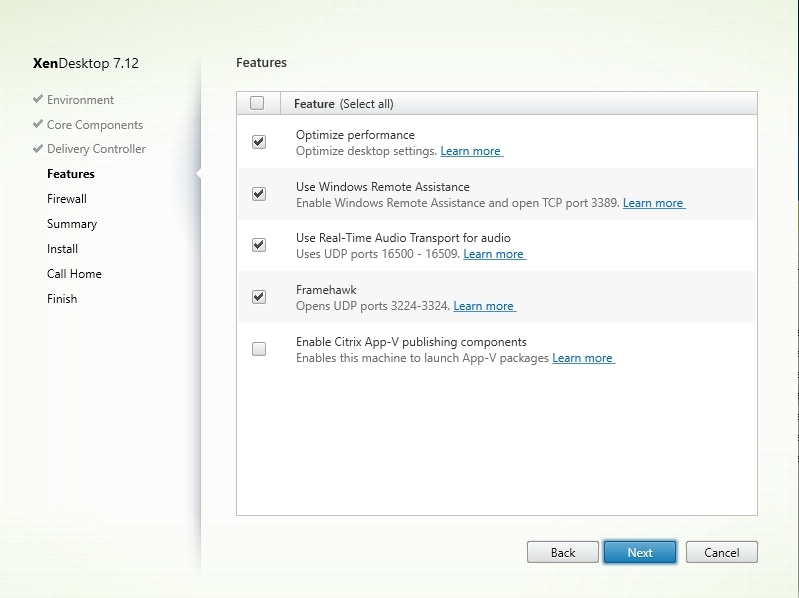 First let me tell you something about my environment, it is important to do some preparations before starting with the XenDesktop 7.12 installation. 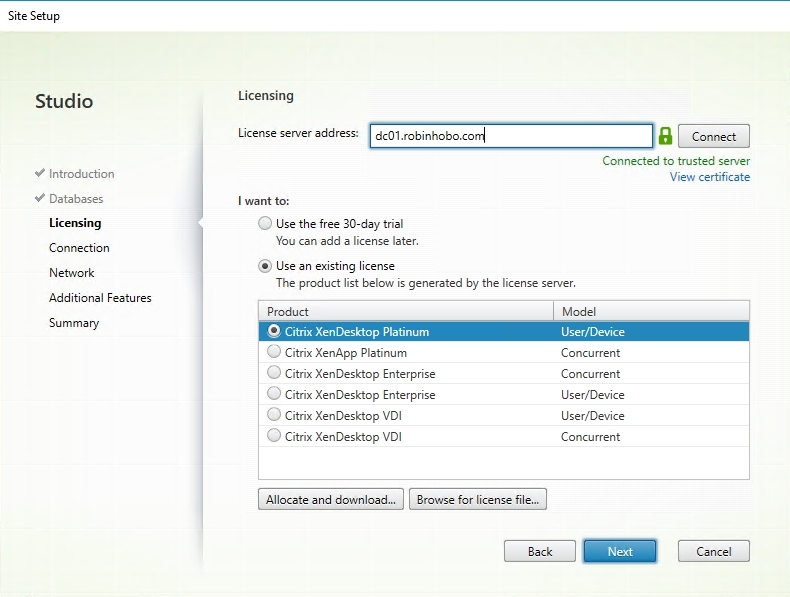 For example, you must have a configured Citrix License Server with the proper licenses available and a Microsoft SQL server up and running (or install SQL Express during XenDesktop installation). 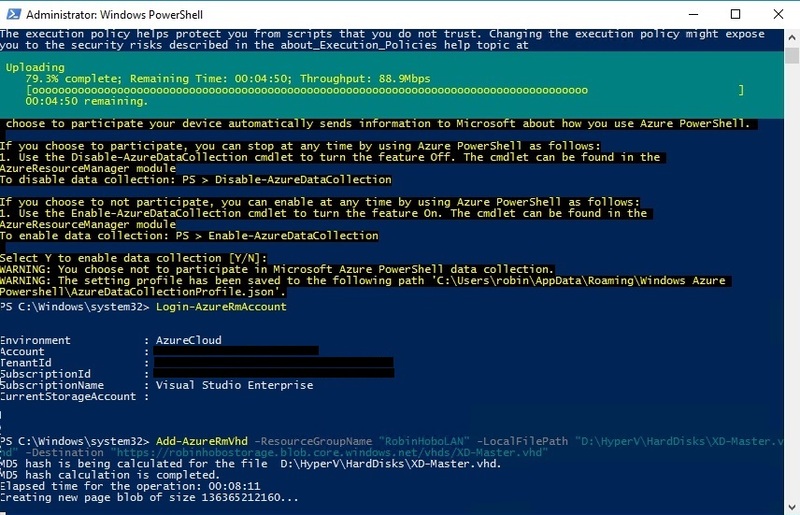 If using Microsoft Azure, make sure you have your Azure tenant up and running, configured with a network and a storage account. 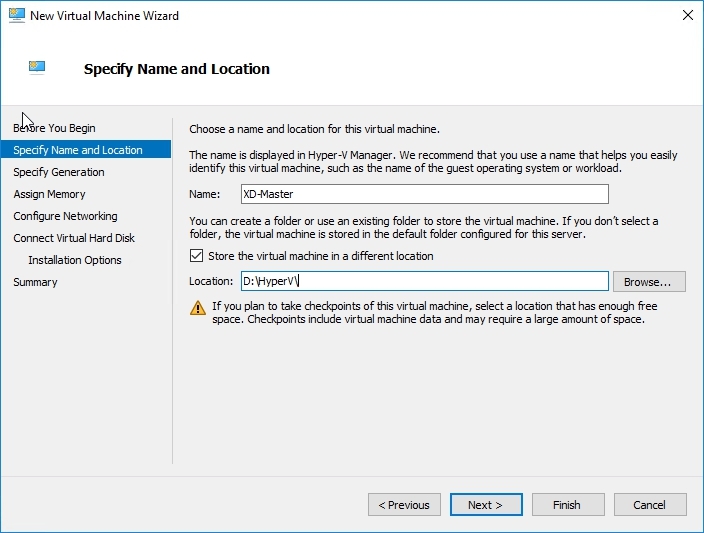 On-premise Windows Server 2016 running the Hyper-V role. 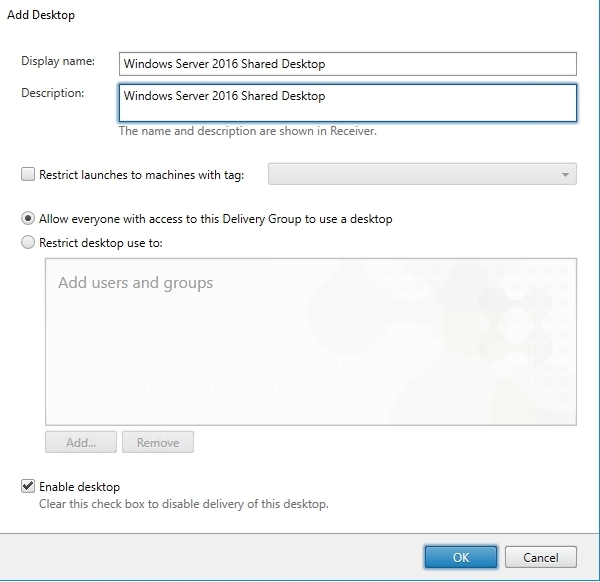 There are two ways to prepare your Windows Server 2016 XenDesktop Host master image. 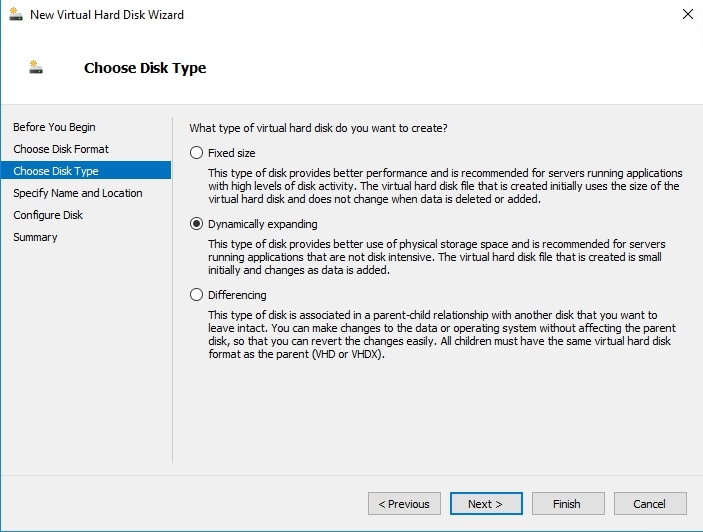 The first one is the easiest one, just go the Azure Marketplace and select the [HUB] (Hybrid Use Benefit) version of the Windows Server 2016 Datacenter image/template. 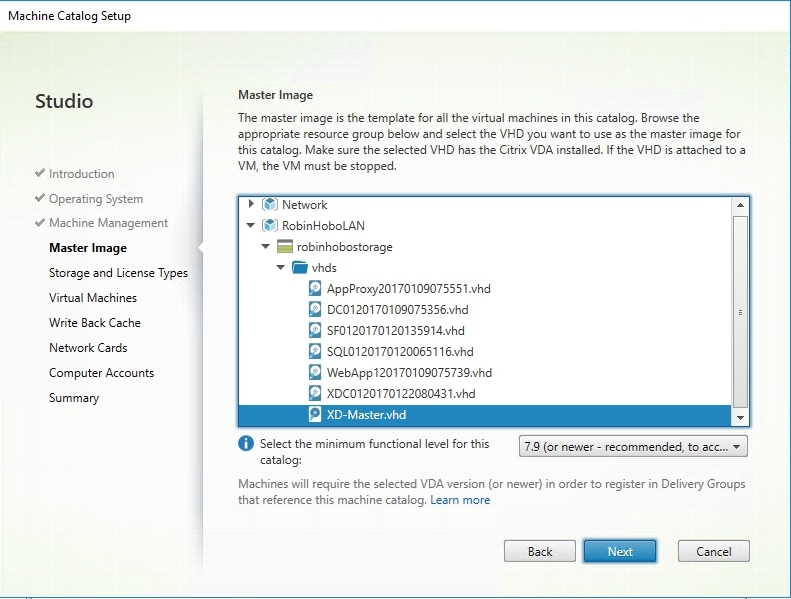 Deploy a new Virtual Machine with this template, install the XenDesktop VDA agent and all the applications you want to publish with XenDesktop. 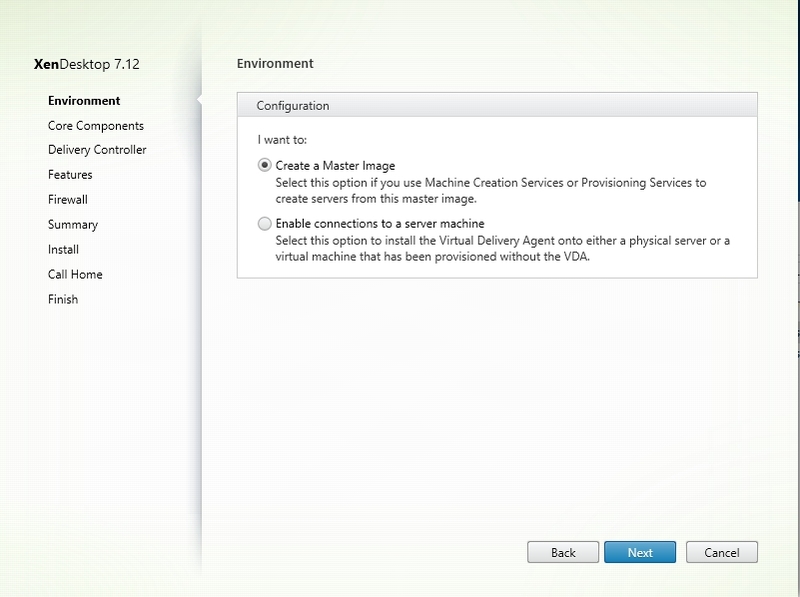 After installing all the applications and the XenDesktop VDA Agent, shut down the VM. Within the Azure Portal Stop (deallocate) the server. 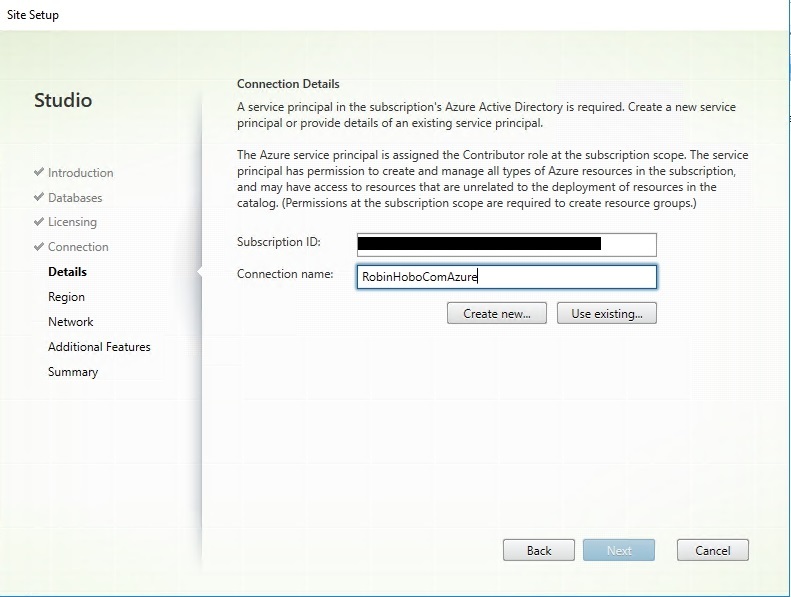 For these steps you need an Azure portal with an EA (Enterprise Subscription) otherwise you are not able to deploy a [HUB] template image. 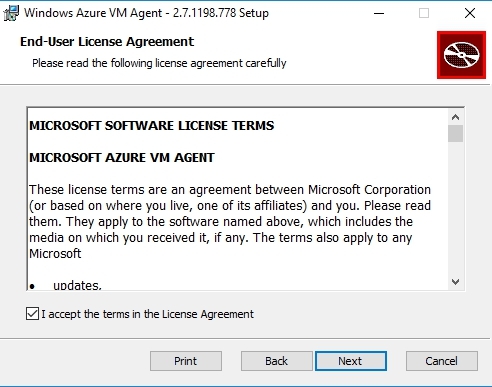 Unfortunately, I don’t have an Azure tenant with an Enterprise Agreement, what brings us to option two. 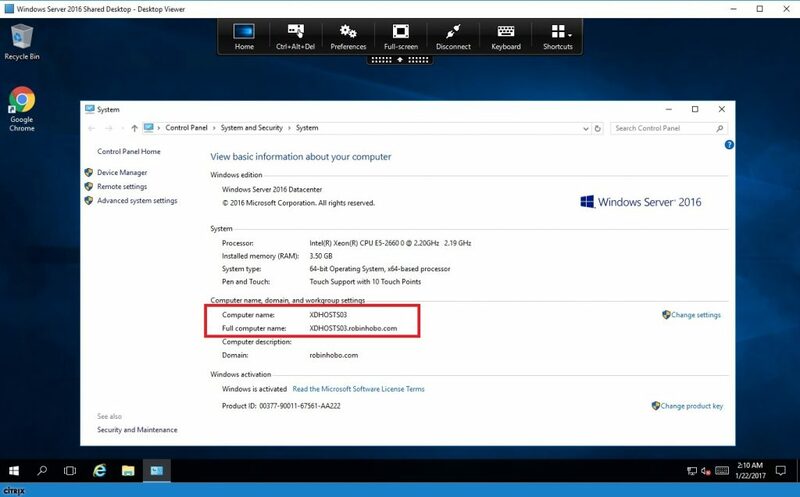 With option two we must create our own Windows Server 2016 Datacenter image with a Windows Server 2016 Datacenter license that include software assurance. 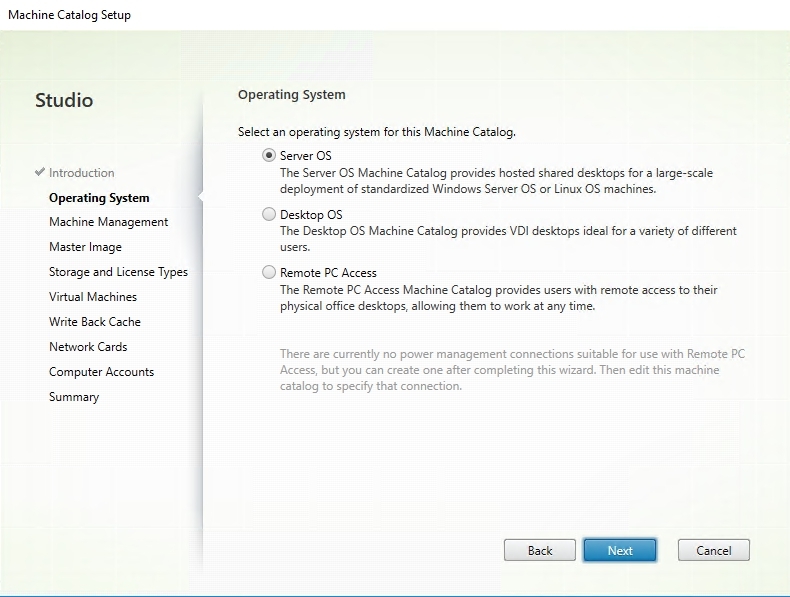 In my case I will install this server in my on-premise Microsoft Hyper-V environment. 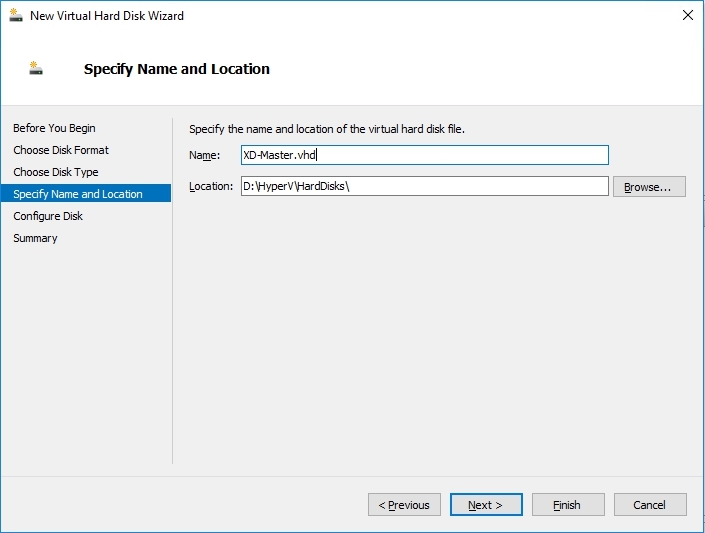 Because I cannot create a new Virtual Machine with a new hard disk image that has the .vhd extension (by default it has the .avhdx file extension), I first create a new virtual hard disk manually (.vhd is needed for Microsoft Azure in combination with Citrix XenDesktop). 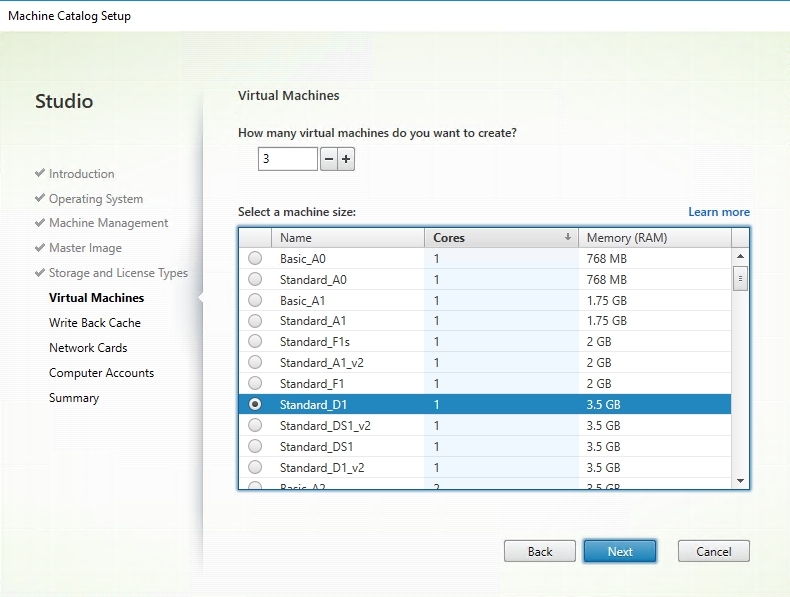 The next step is to create a new Virtual Machine (VM) and attache the just created Virtual Hard Disk. 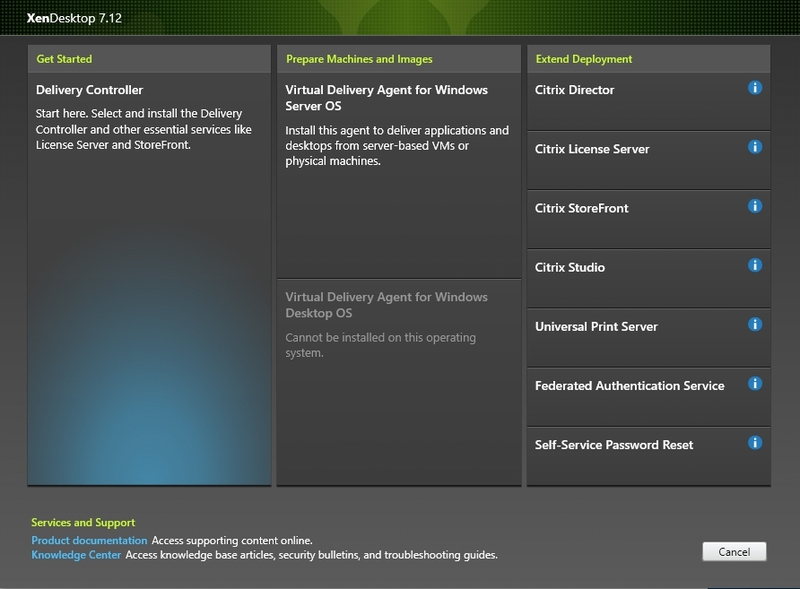 The next step is to install the Citrix XenDesktop 7.12 Virtual Delivery Agent for Windows Server OS. 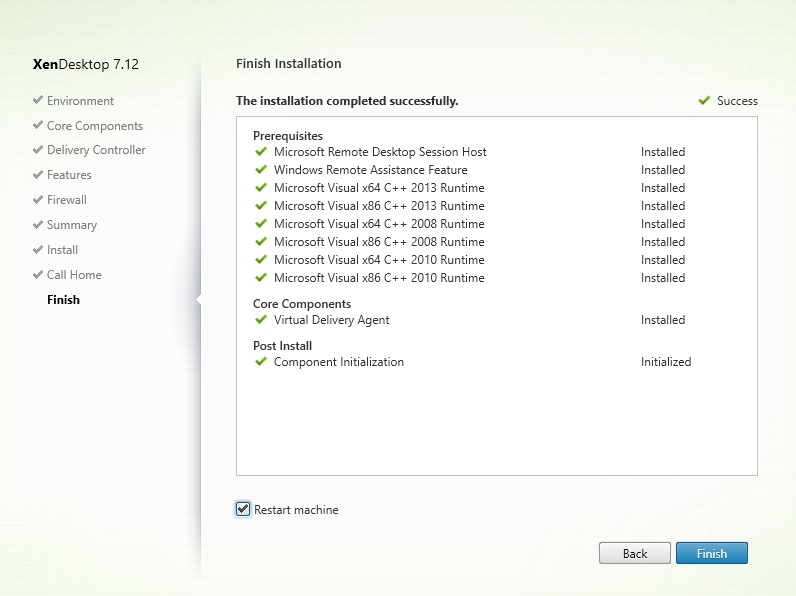 Mount the XenDesktop 7.12 ISO file and start the installation. 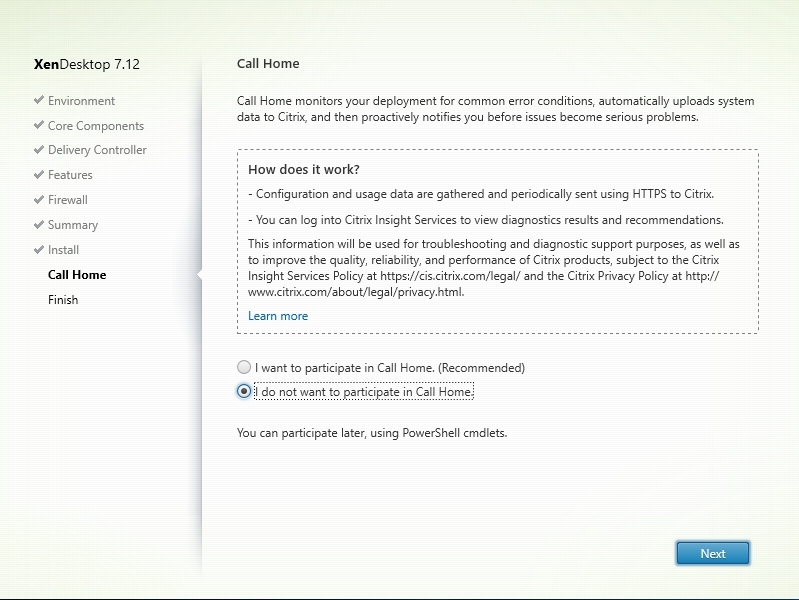 After the restart, shut down the server. 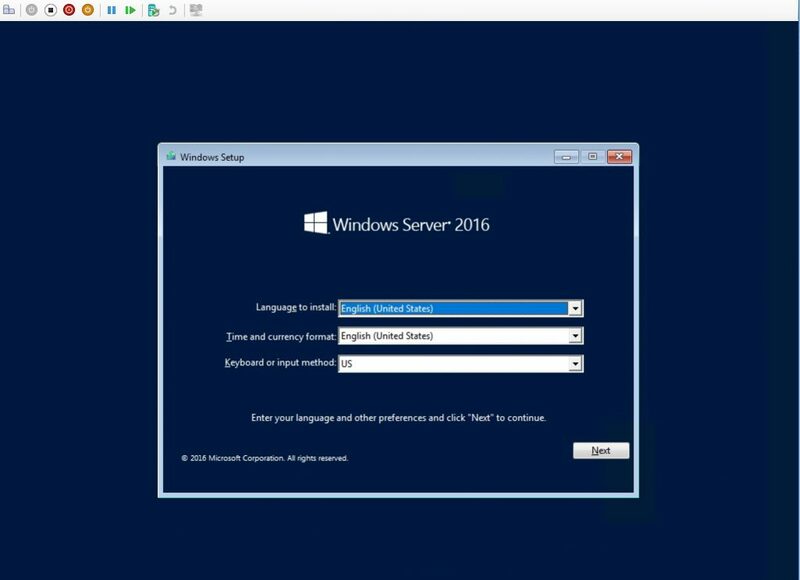 Now it’s time to upload the custom Windows Server 2016 image file to your Microsoft Azure Storage Account. 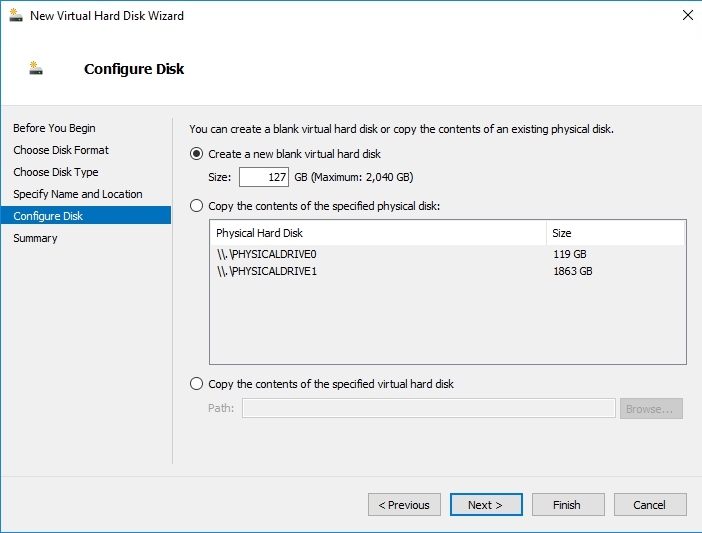 Make sure you have installed Azure PowerShell on your computer/server from where you can upload the Virtual Hard Disk file (.vhd file). 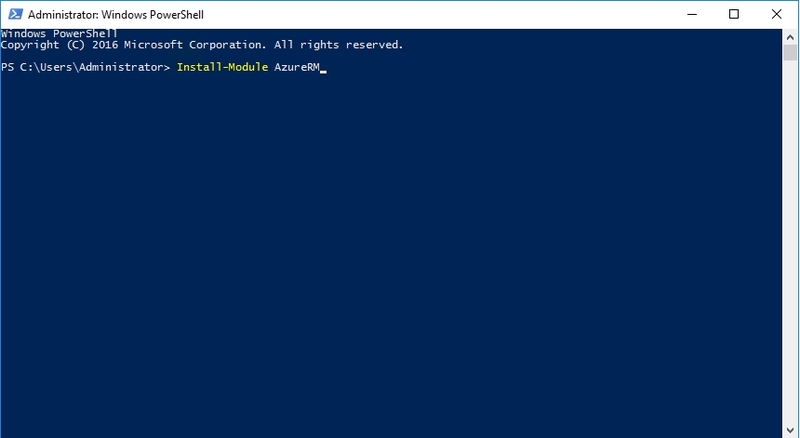 You can install Azure PowerShell with the “Install-Module AzureRM” and “Install-Module Azure” commands. 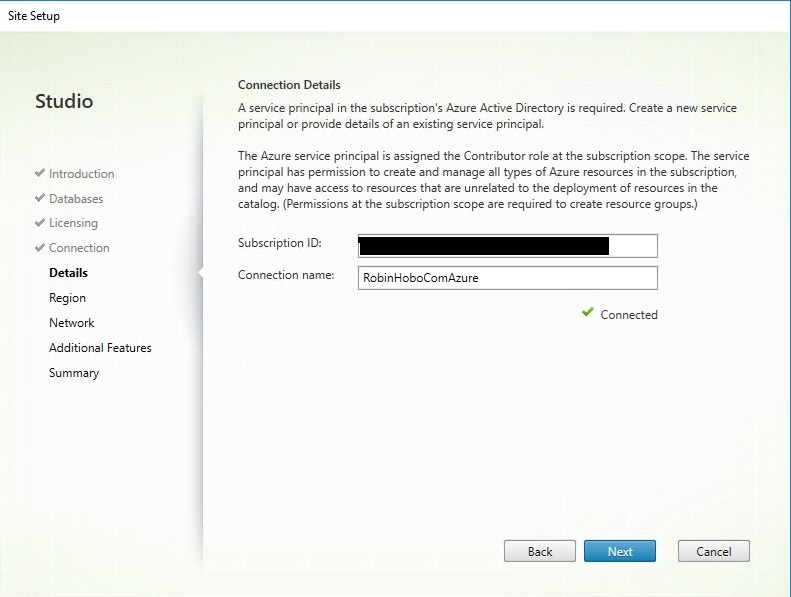 Login to your Azure tenant and go to Storage accounts. 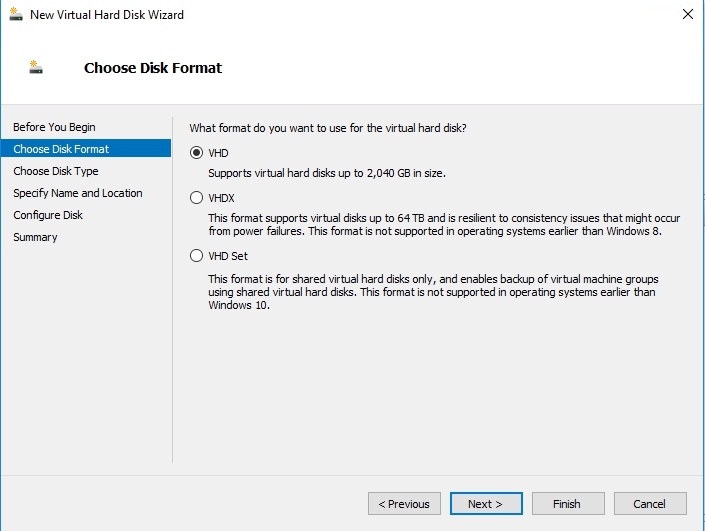 Open the Storage Account you want to upload the Virual Hard Disk to, and select Containers. 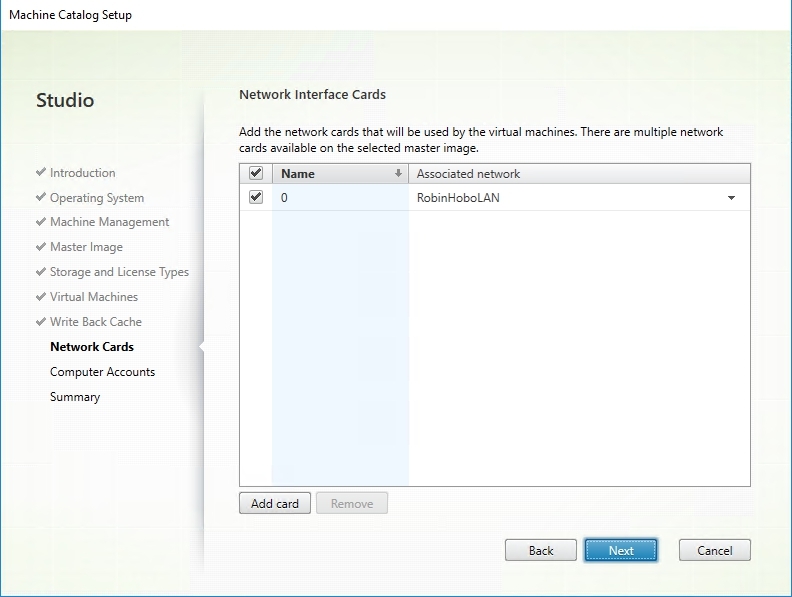 At the right you see the Storage Account URL. 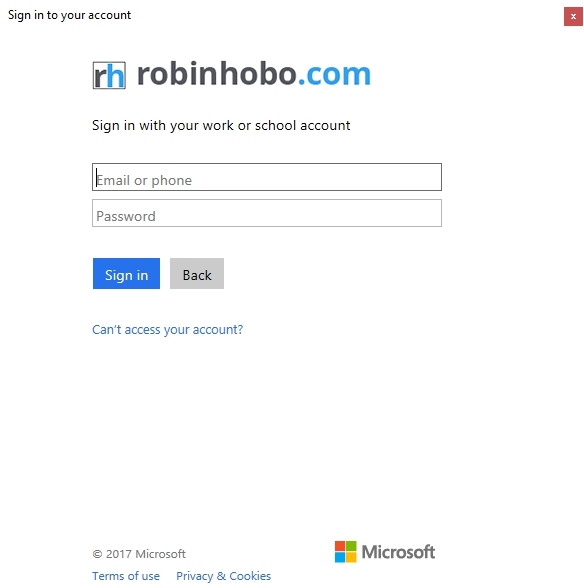 This URL is needed in the next step. 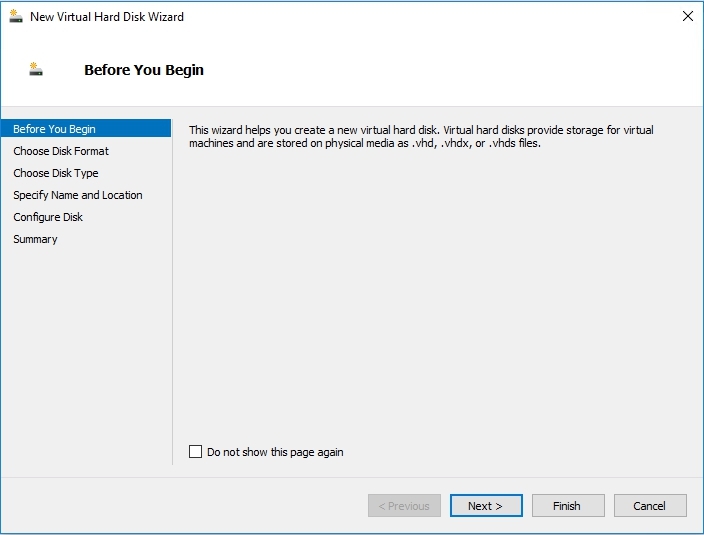 After that the Virtual Hard Disk file will be uploaded to Microsoft Azure. Now it’s time to install and configure the Citrix XenDesktop 7.12 Delivery Controller itself. 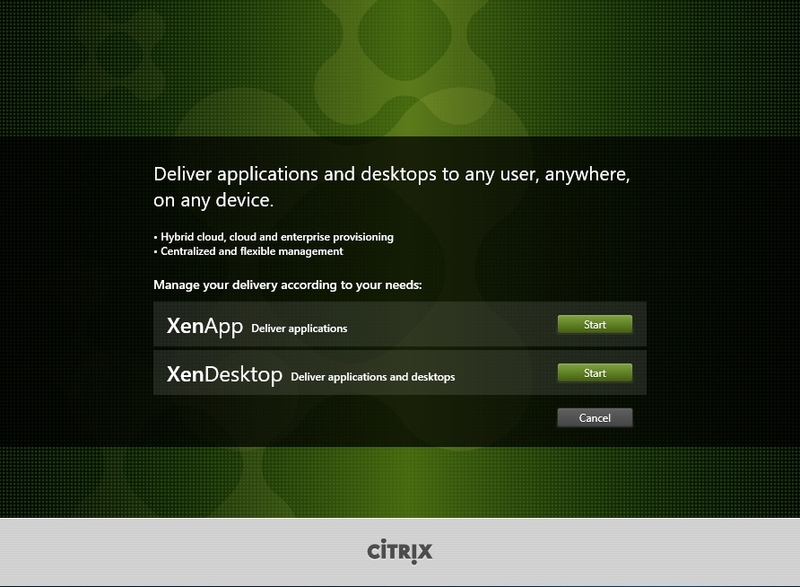 Login to the server and mount the Citrix XenDesktop 7.12 ISO File. 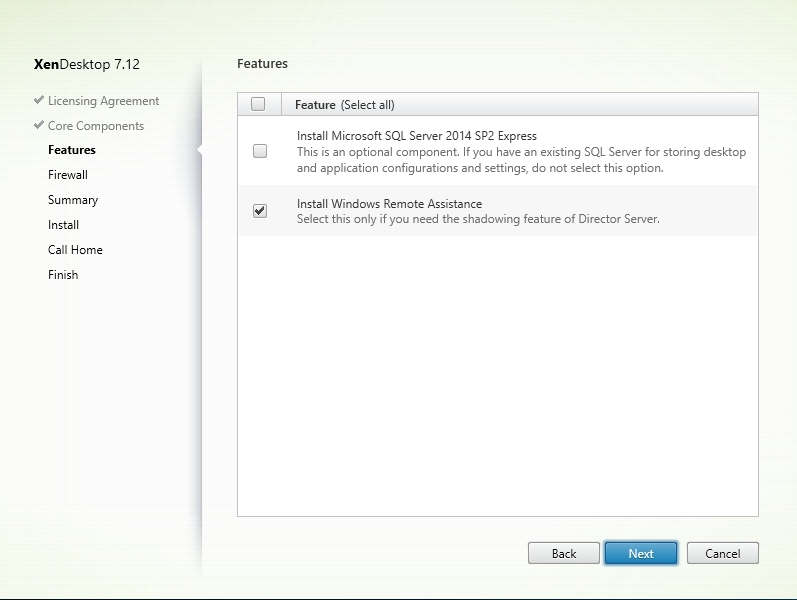 A Microsoft SQL Server is already up and running in my environment, so I only select Install Windows Remote Assistance. Click Next. 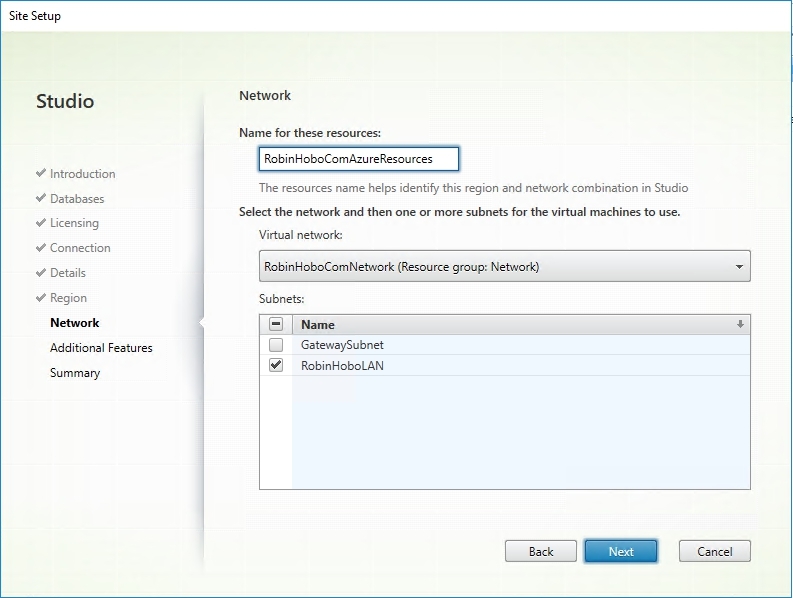 Fill in your Azure Subscription ID and give the connection a name. Click Create new.. 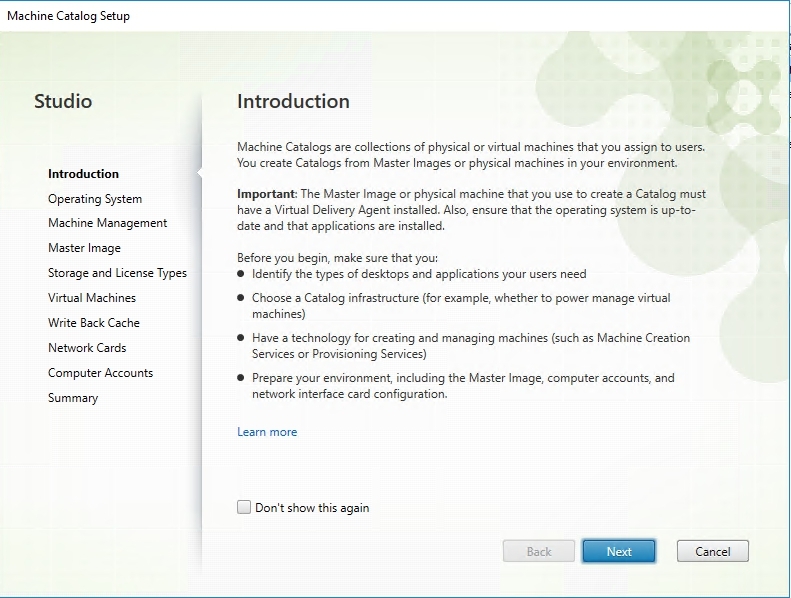 Fill in a machine Catalog Name and a Machine Catalog description for administrators. 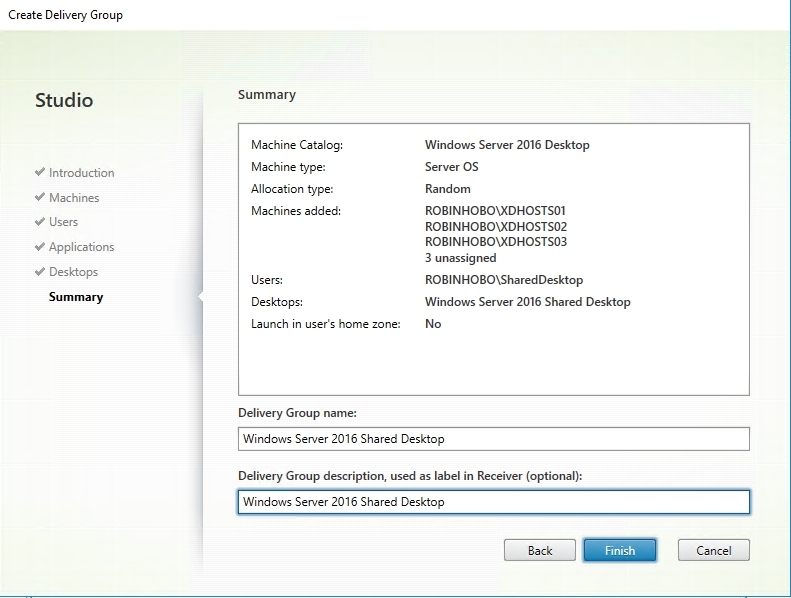 In my case I will use Windows Server 2016 Desktop. Click Finish. 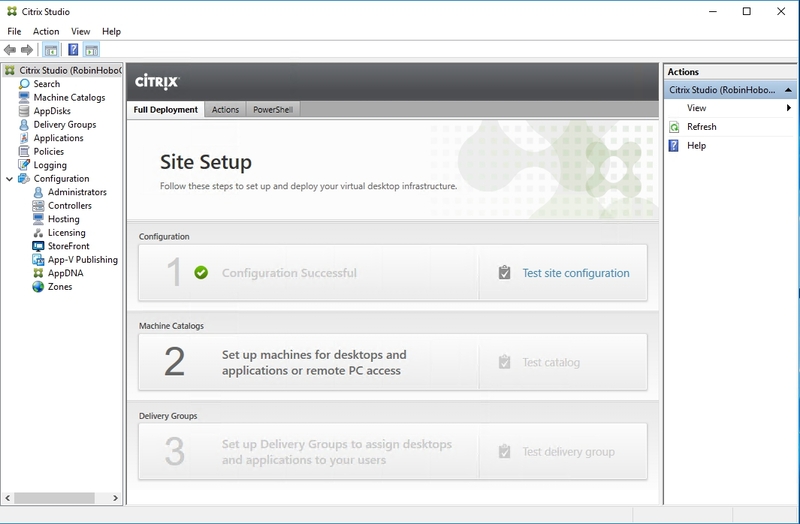 The deployment of the host servers will now begin. 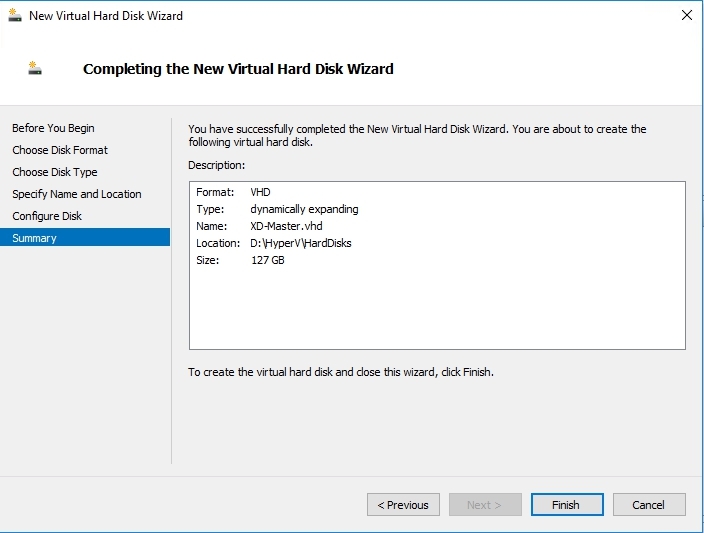 It will take a long time, in my case over 30 minutes! 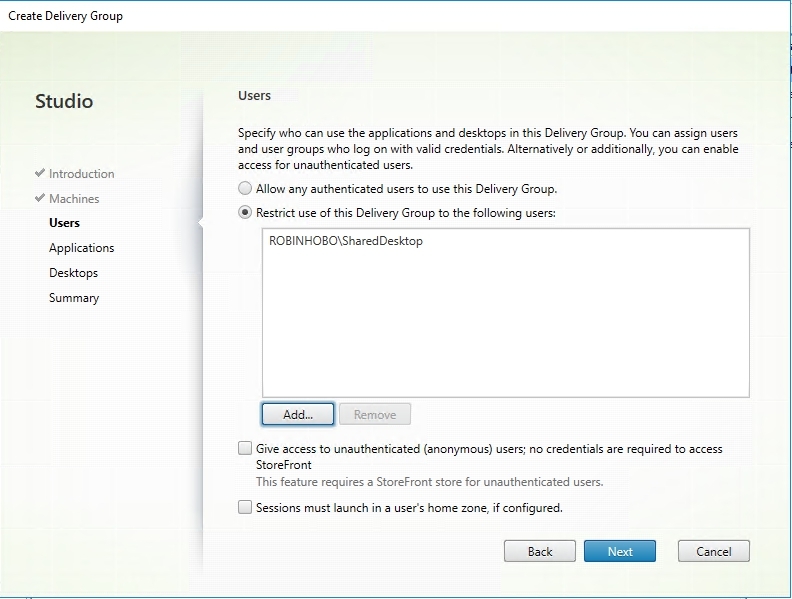 Fill in a Delivery Group name and optionally a Delivery Group description. 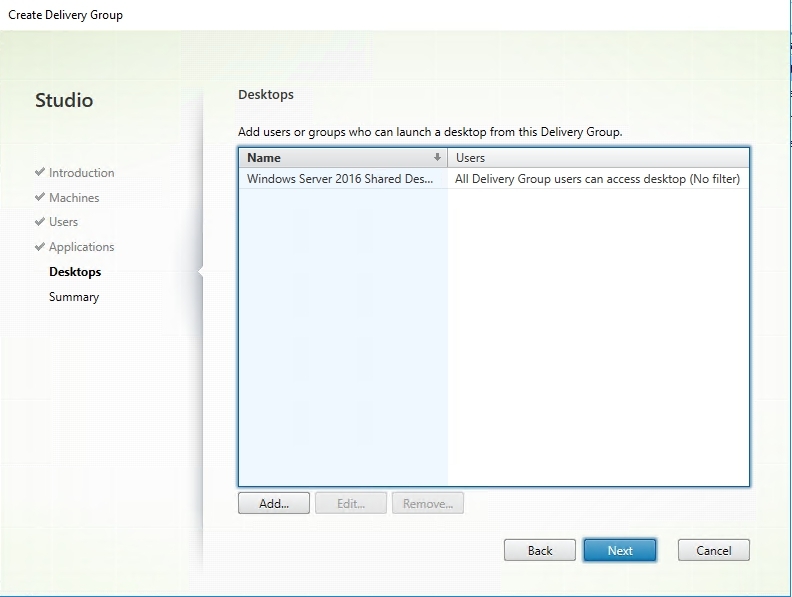 In my case, this will be Windows Server 2016 Shared Desktop. The final step is to see if it all works. 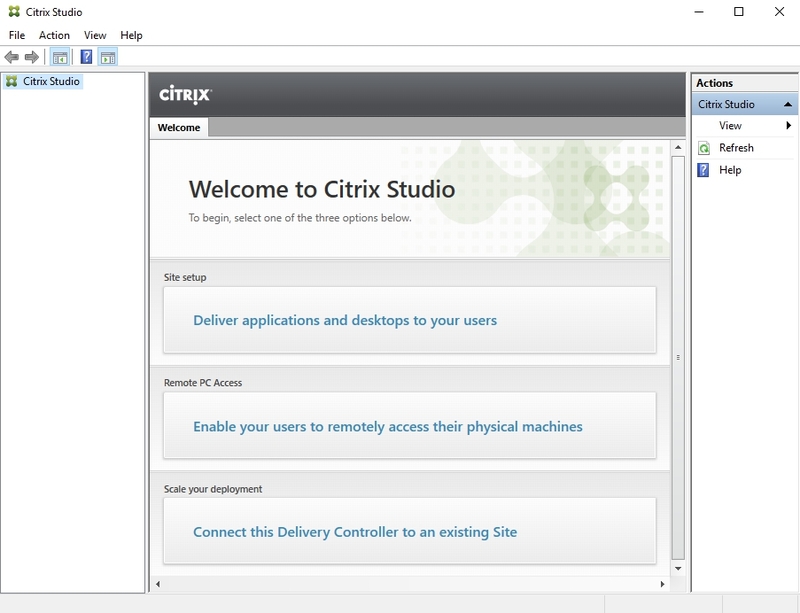 First lets take a look at the Machine Catalog within Citrix Studio. 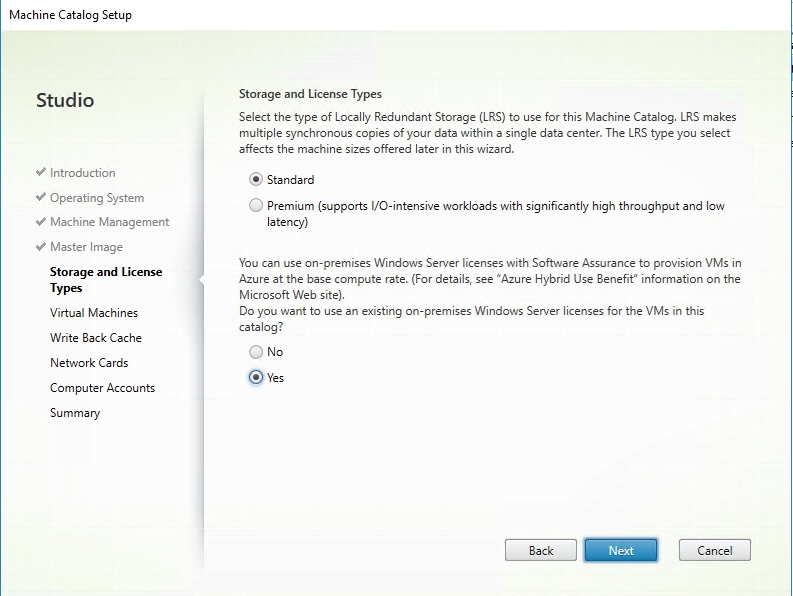 Let’s open a user session to one of the new host servers running in Azure. 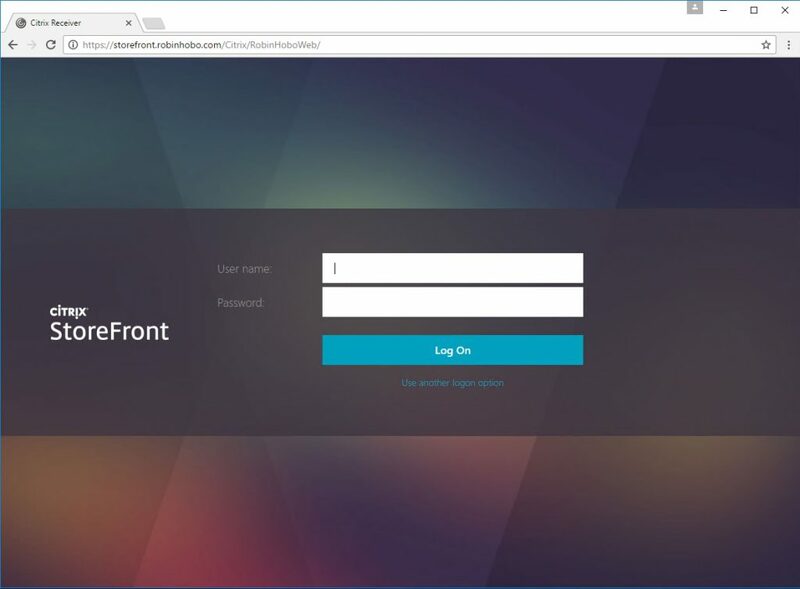 Login to your StoreFront site. And after starting the user session, you can see that I have a session to the XDHOSTS03 server. 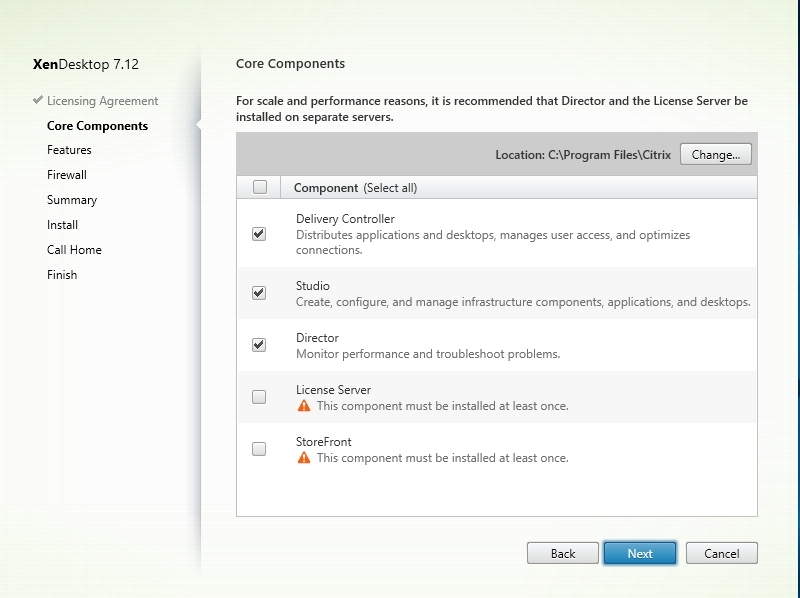 Looks thorough and complete! Good article. 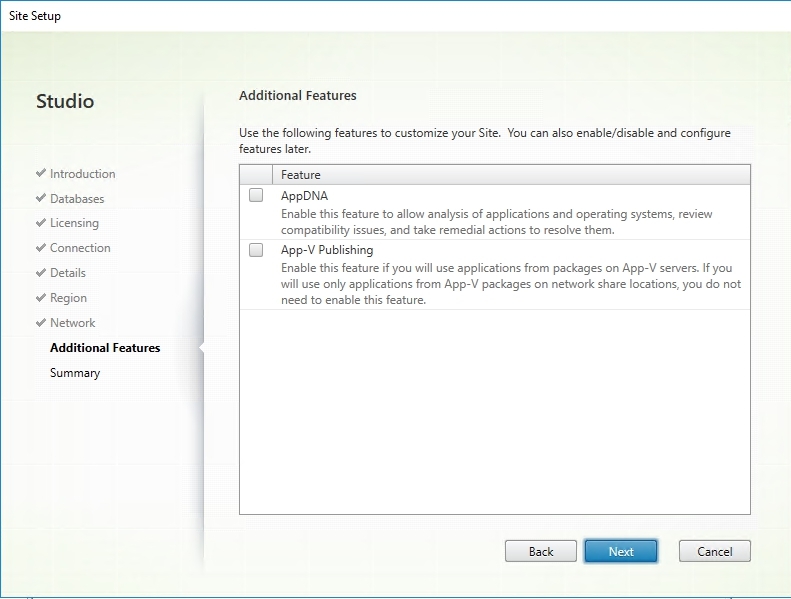 Have you tested publishing applications? 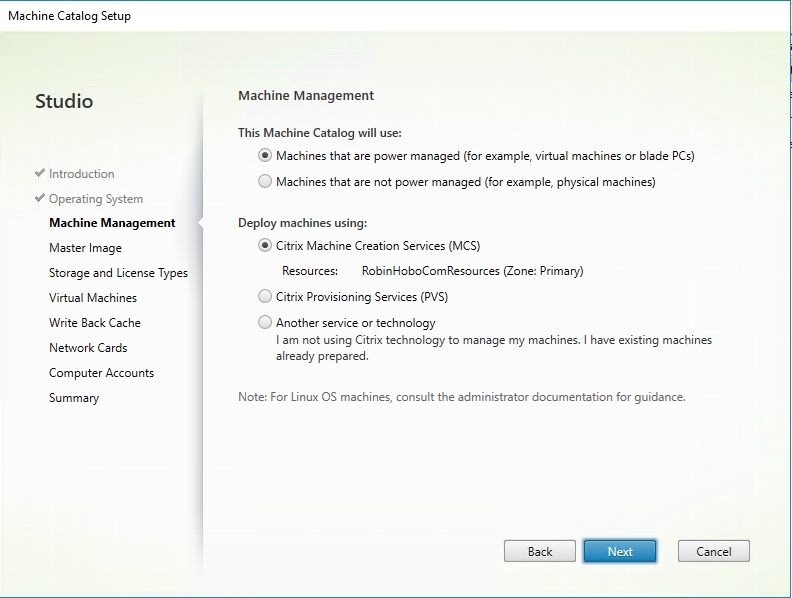 If so, do you notice a quick black screen upon launching? 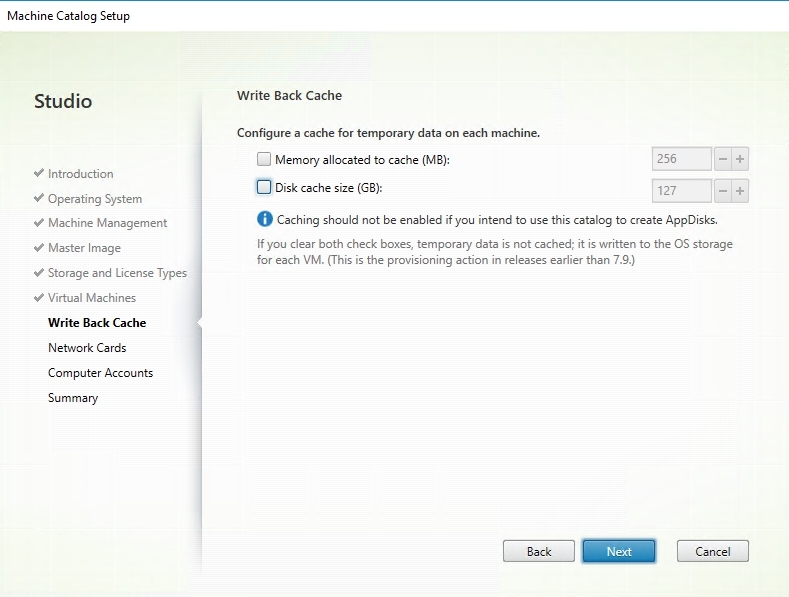 I’ve tested this in over 4 different builds and are experiencing this consistently. 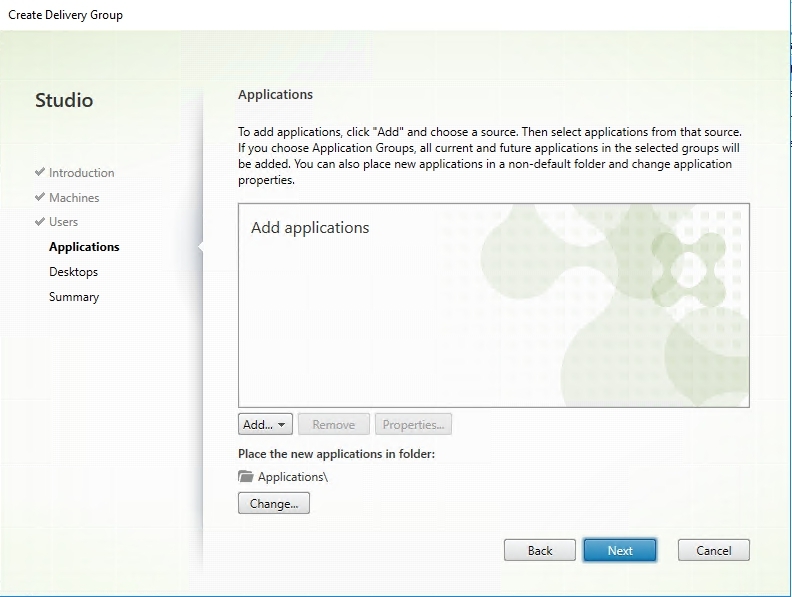 No, I have not publish any applications, only the desktop. 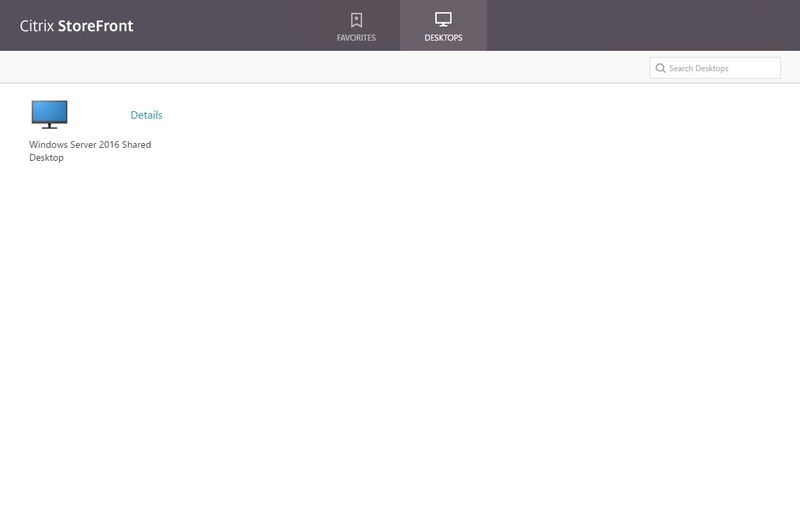 Do you see a black screen there as well? 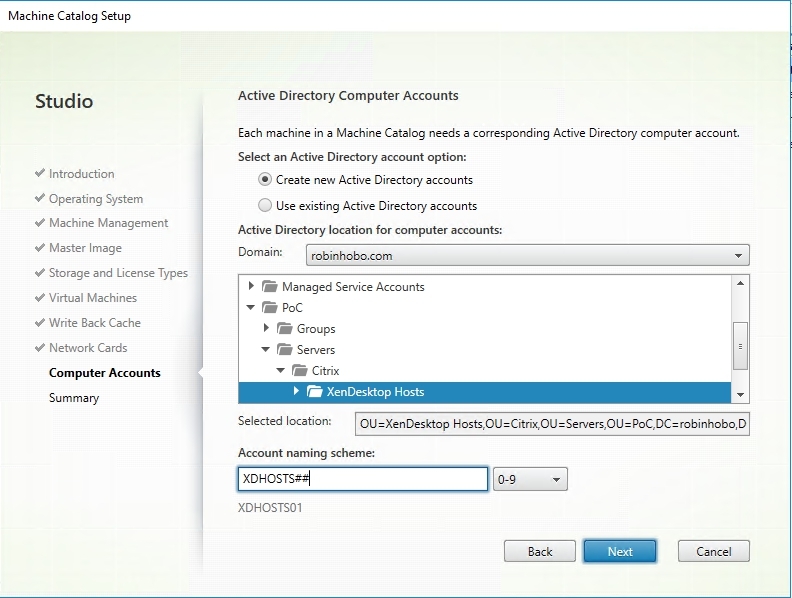 Black screen when publishing applications from Windows Server 2016 is a known issue, there are many discussions about it in Citrix forums. 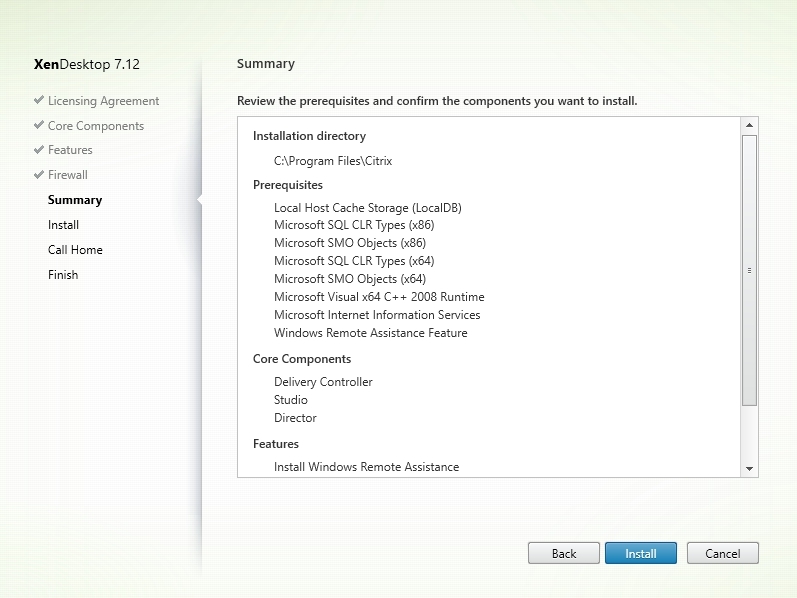 Seems to be a Microsoft bug. 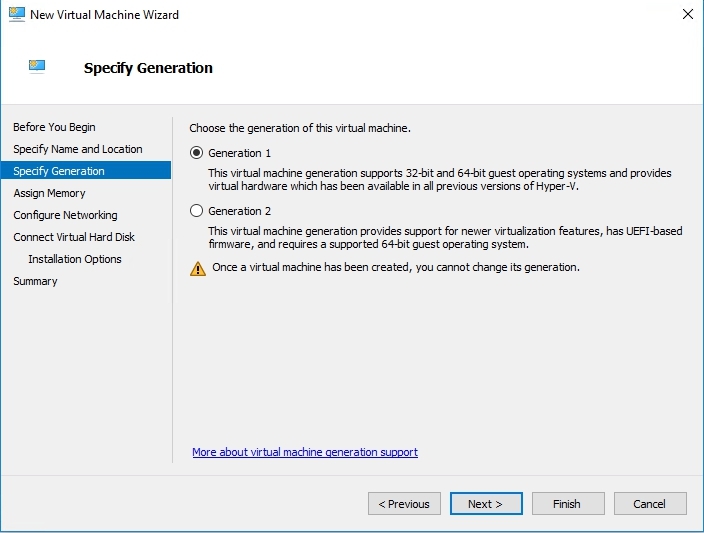 I don’t understand the installation “Azure VM agent”, if it not necessary for working the VM. 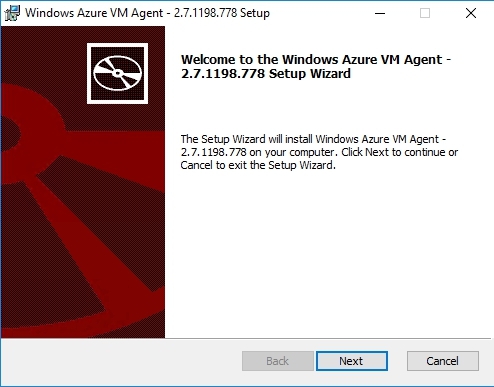 I mounted a NetScaler into Azure and not necessary the Azure Agent installation. 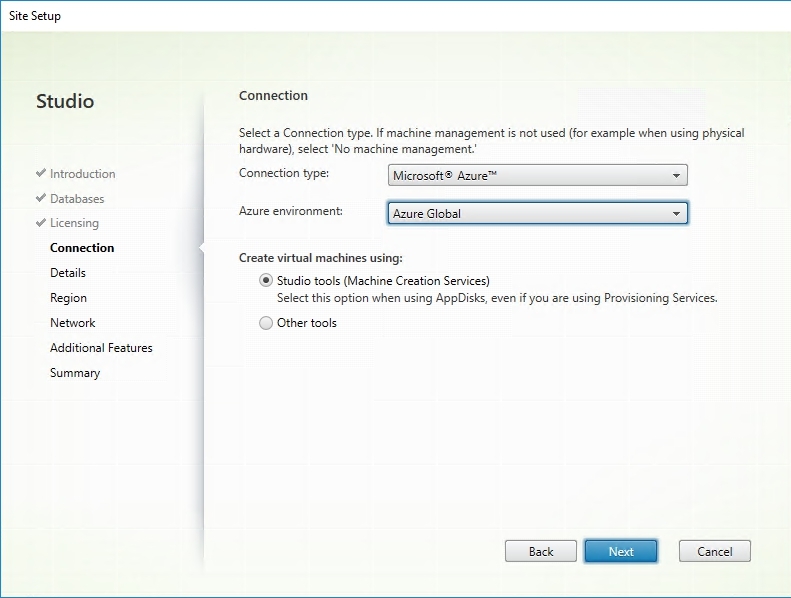 For another hand, you can try use Azure AD (non AzureVM- ActiveDirectory), for authentication. 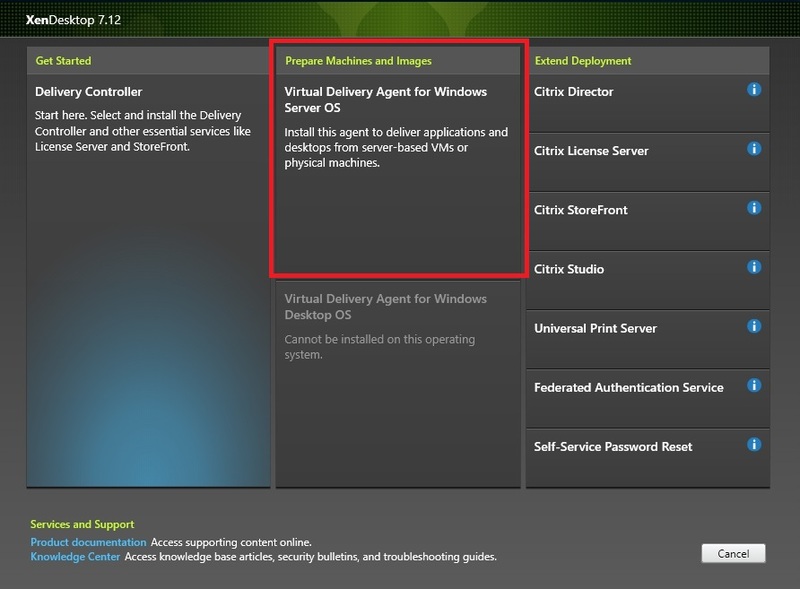 Great article, but wondering why don’t you deploy windows servers directly in Azure using their images? 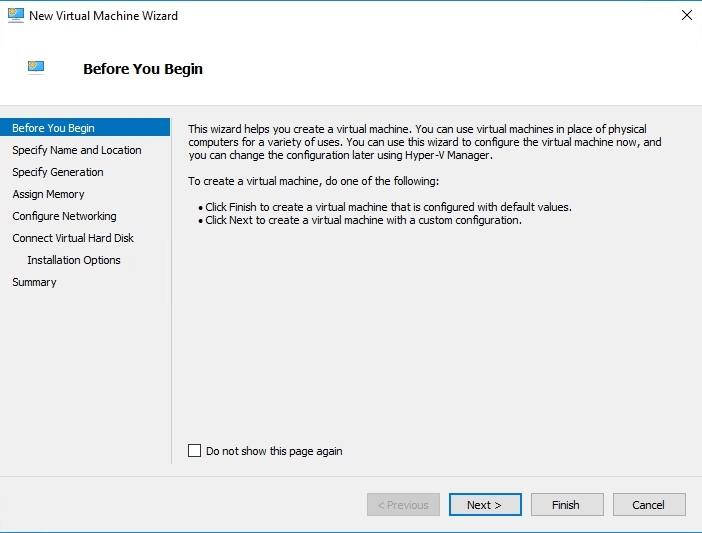 I am using powershell scripts to deploy my VDAs (master image) in Azure, it is much easier and faster if you need to redeploy the base image. 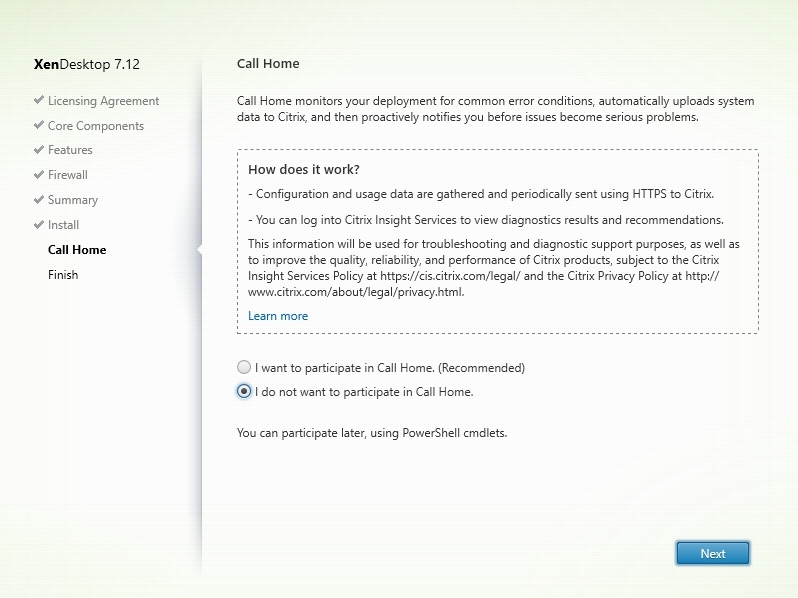 Have you considered using powershell? 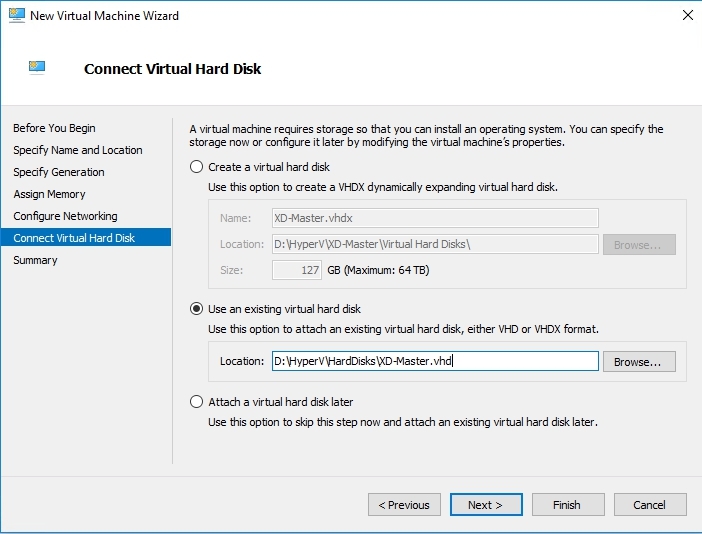 Is there any specific reason why you are using Hyper-V to build your master image? I am testing out windows 2016 servers. 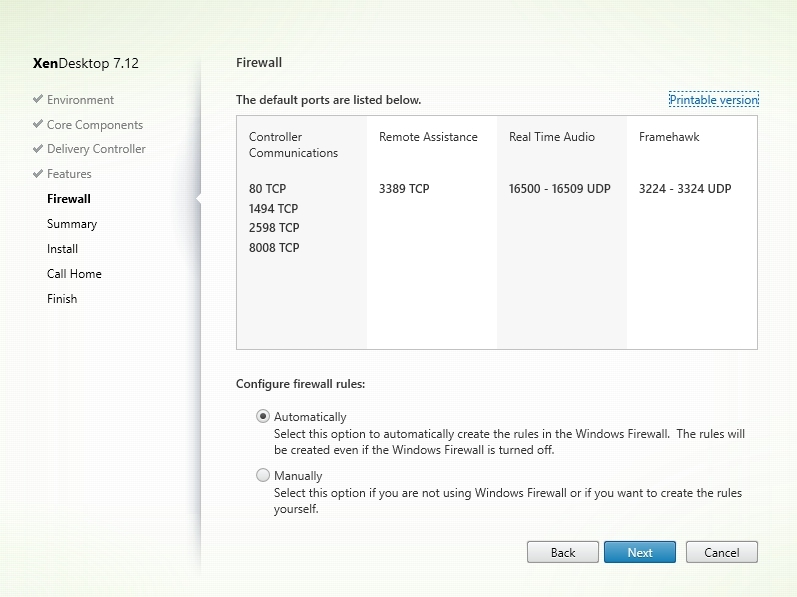 I have a test environment with two windows 2012 delivery controllers. 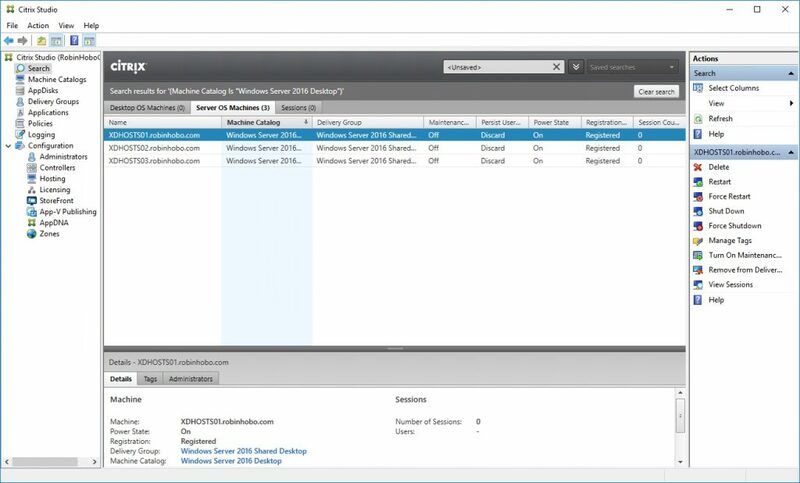 I added a windows 2016 to my test environment and its failing when I run a site test and the studio doesn’t open when I shutdown the Windows 2012 delivery controllers? 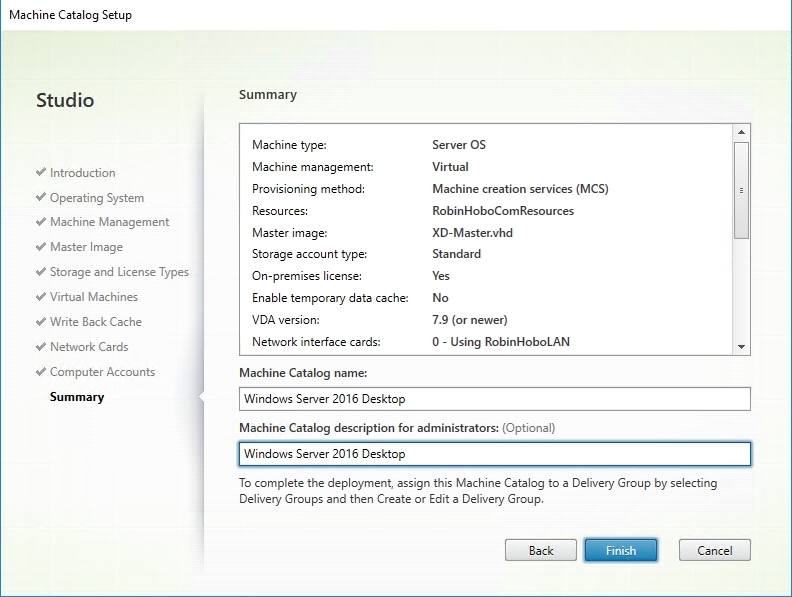 Is there a certain procedure for adding Windows 2016 Delivery controller to an existing XA 7.12 site? Can this be done or should I just create a new site? 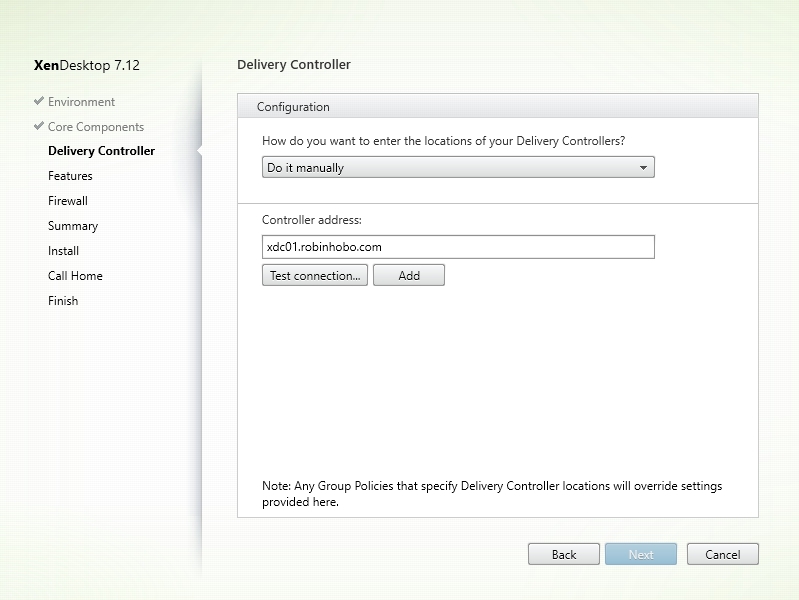 My end goal is to remove the Windows 2012 Delivery controllers and just use Windows 2016 for delivery controllers. 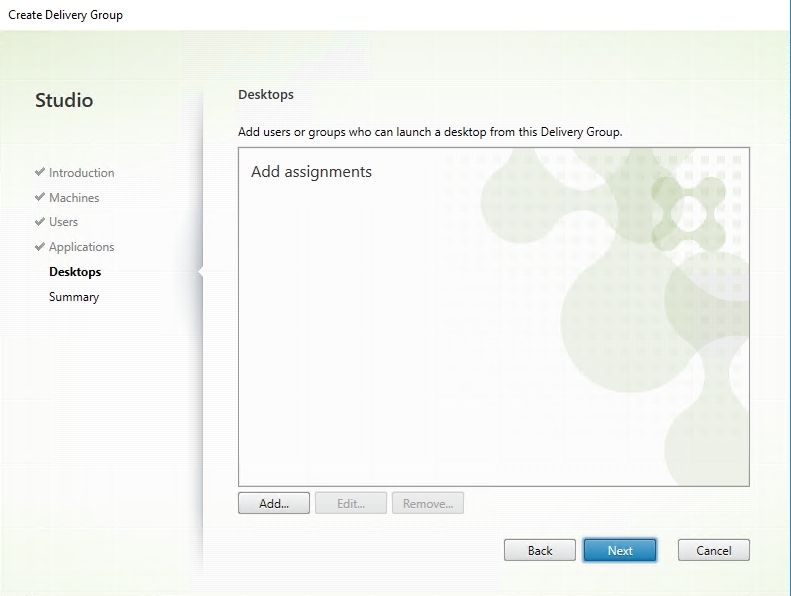 I eventually need to do this for a client so I am just prepping now. 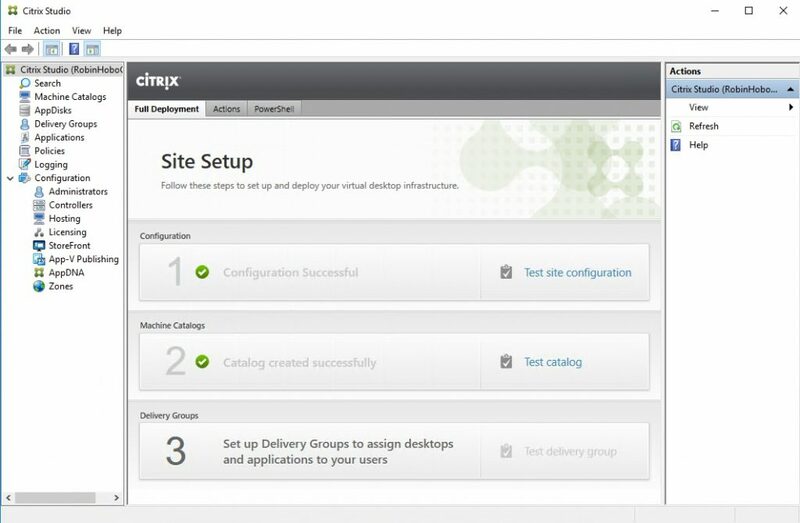 Quick question is the netscaler required for hybrid deployments? 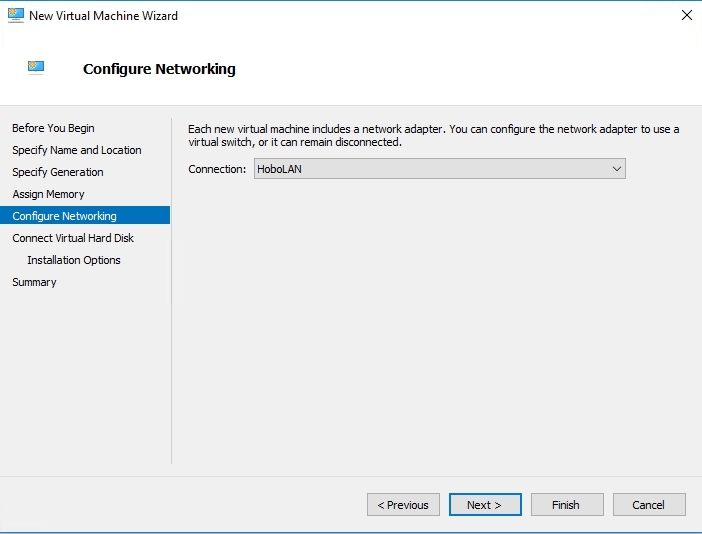 Do i need a netscaler in the Azure cloud? 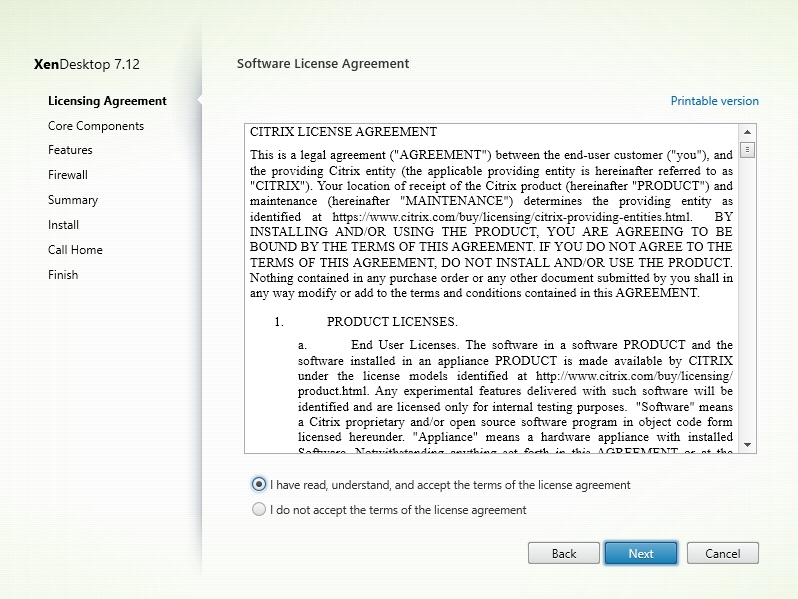 I am guessing yes to allow authentication, right? 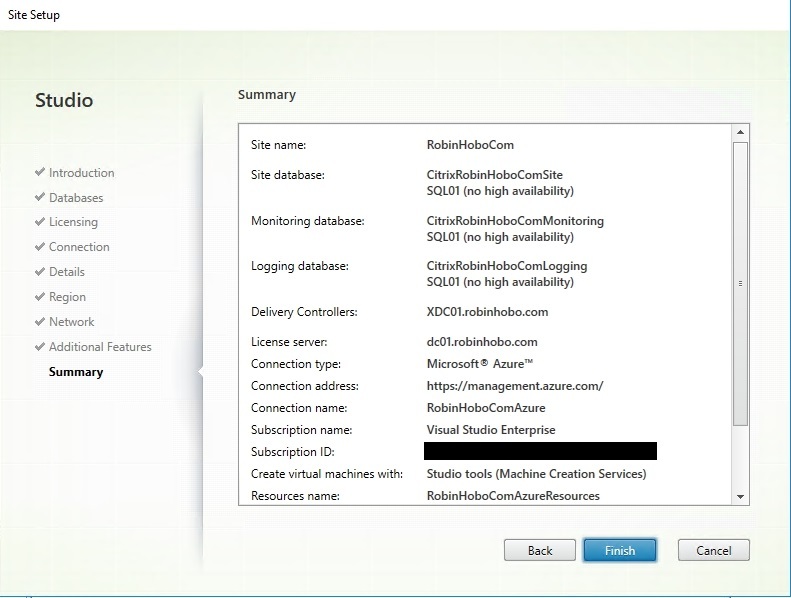 Can you replace DC01 & SQL01, with Azure services? 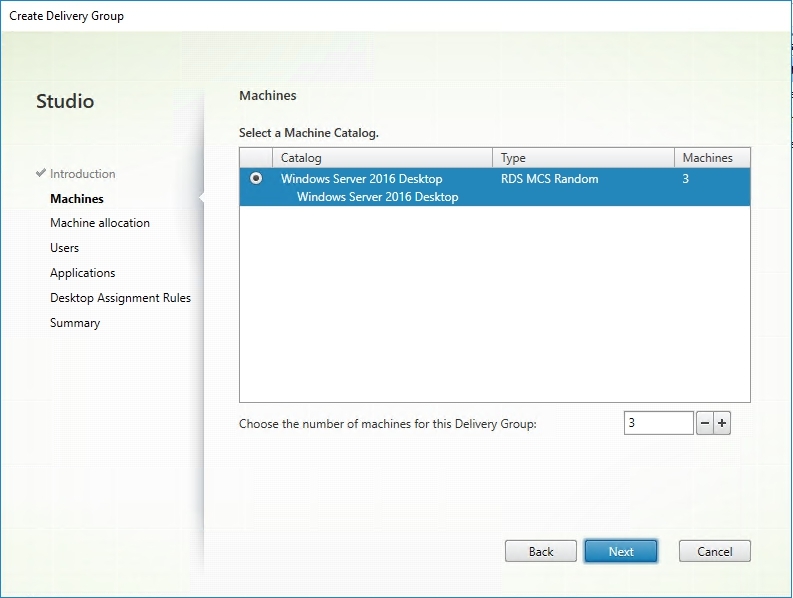 Hi, Can i have the whole setup in Azure, but MCS doesnt seem to work. 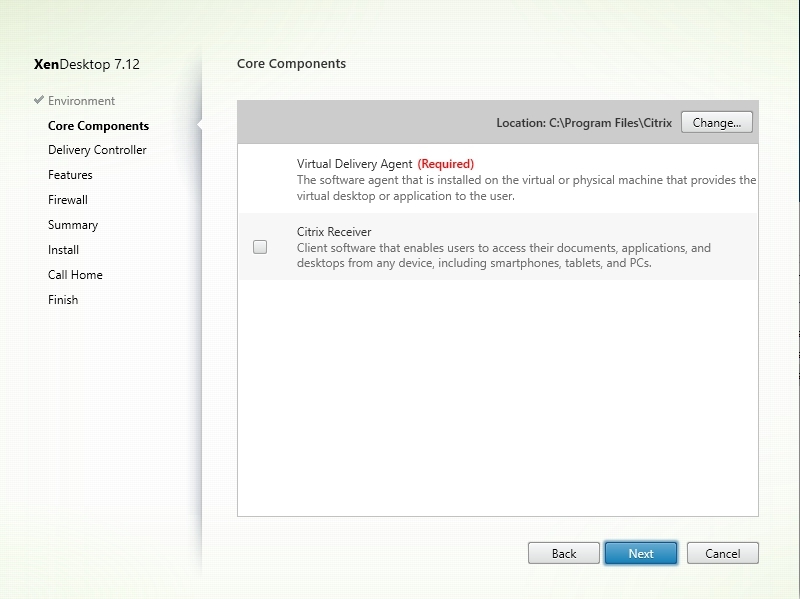 The VDA registration fails in ARM. 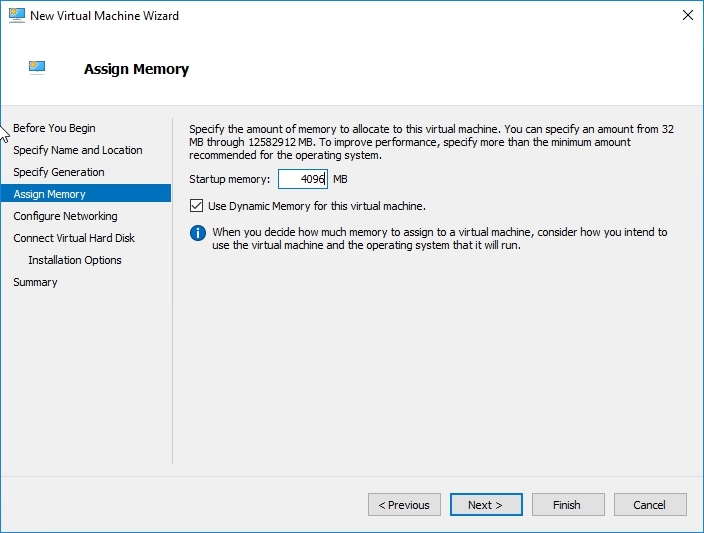 Does it need hypervisor tools or something else. 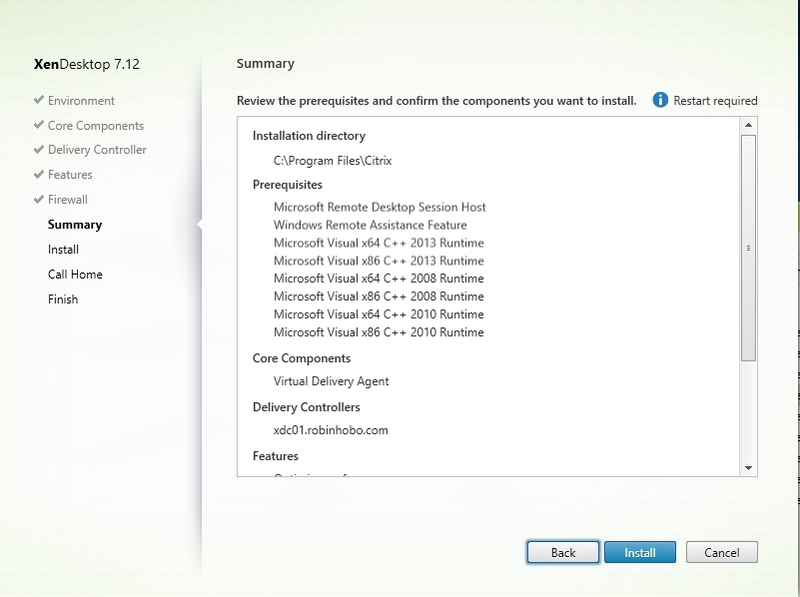 It’s great to learn about Microsoft Azure, its components and step-by-step guide to configure XenDesktop. 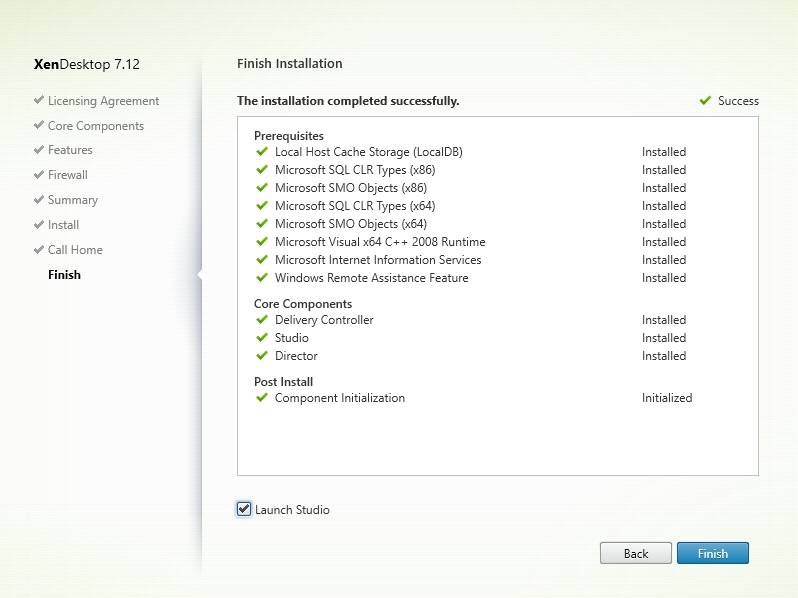 I successfully implemented your instructions and it’s really worked well.